There are many approaches to successful wedding photography, but the key factor is almost always the lighting. Professional lighting can turn an ordinary wedding photo into a dramatic one with impact. We think that our professional lighting equipment is a major factor in the success in our business. 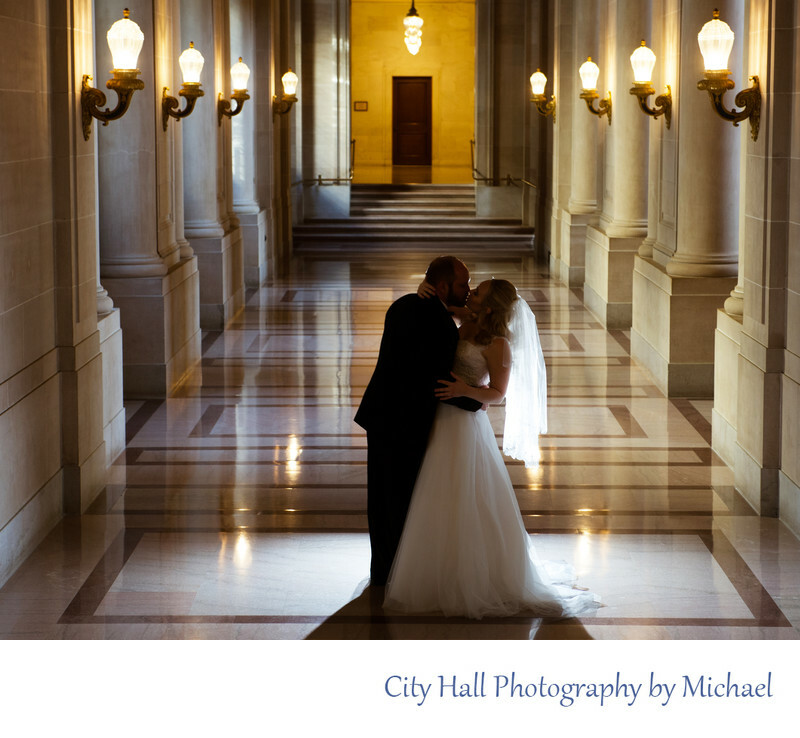 We are one of the few professional San Francisco city hall wedding photographers that bring in a full array of lighting equipment. We don't just use a simple flash on our camera, we utilize remote controlled off-camera lighting. This provides something called dimensional lighting on the main subjects. Dimensional lighting has the effect of separating the bride and groom from the background, but more importantly, provides more depth in the image. A photo with direct lighting will look flat and uninteresting, add a umbrella light to the image and it gives things more detail. In the image above, we put the remote light behind the bride and aimed at the veil to make it glow. The reflection of the light also causes a nice spot of light behind the subjects which creates silhouette.